Independent guy/girl duo Dresses found their way into my heart with the playful pop melodies and enchanting vocal harmonies of their dreamy debut album Sun Shy (via SideOneDummy) in late 2013. They solidified their place the following summer with an intimate acoustic performance at The Studio at Webster Hall in New York. 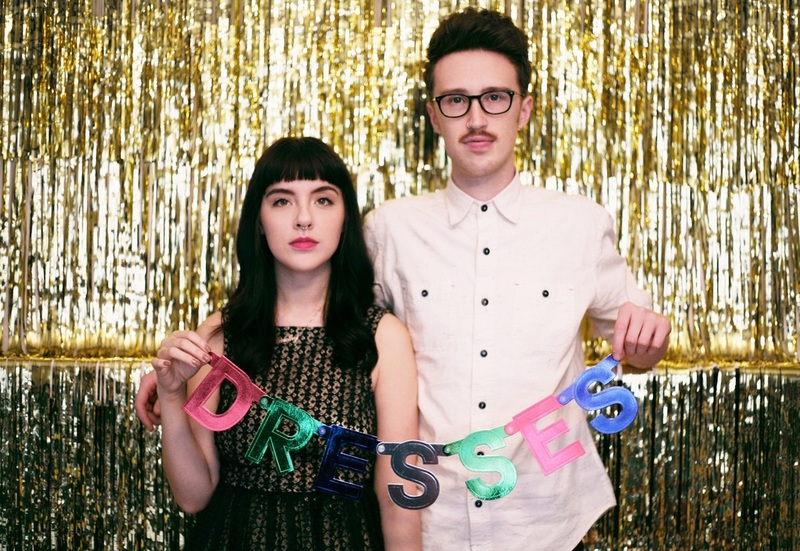 A full year later, the Portland, Oregon-based Dresses are finally stepping back into the limelight, offering new original material that reminds me instantly why I fell for them the first time. How am I supposed to run to you? How am I gonna lay my body down? Romantic (and even platonic) relationships rely on a plethora of factors to stay afloat, not the least of which are trust, empathy, and understanding. “Catch” captures an instance of disconnect as the narrator relates insecurities and worries that stem from the fallout of these key ingredients. “How am I supposed to run to you?” the narrator asks. “I don’t know the words to make you leave your weapons on the ground.” How do I get through to you? What is this barrier you’ve put up? What are you holding back from me – and why? The words are simple, yet their depth is resonant. “We need to be open and honest with each other,” pleads the narrator. The two-way street/culdesac comparison visualizes the couple’s emotional blockage. Yet it is the chorus’ final line that hits the hardest: “If I threw my heart and made a pass, would your hands reach out when I said, ‘Catch’?” Will you be there for me when I need you? Can I lean on you, when I’m not strong? The flowery instrumentation peaks at the chorus with background chants and busy guitars that contrast directly with Timothy Heller’s raw lead vocals, creating an odd tension that destabilizes the song. The juxtaposition between the lyrics and the encapsulating music could not be more obvious. Thus is the brilliance of Dresses: Just as humans are wont to disguise their inner demons with a happy face, “Catch” masks itself with cheerful music. The upside to this is that it propels the optimistic hope for stable resolution, reminding listeners that all is not lost. As long as these important questions are asked outwardly and not kept silently to one’s chest, the ties that bind a strong relationship – trust, empathy, and understanding – may return, and the relationship may blossom once more. 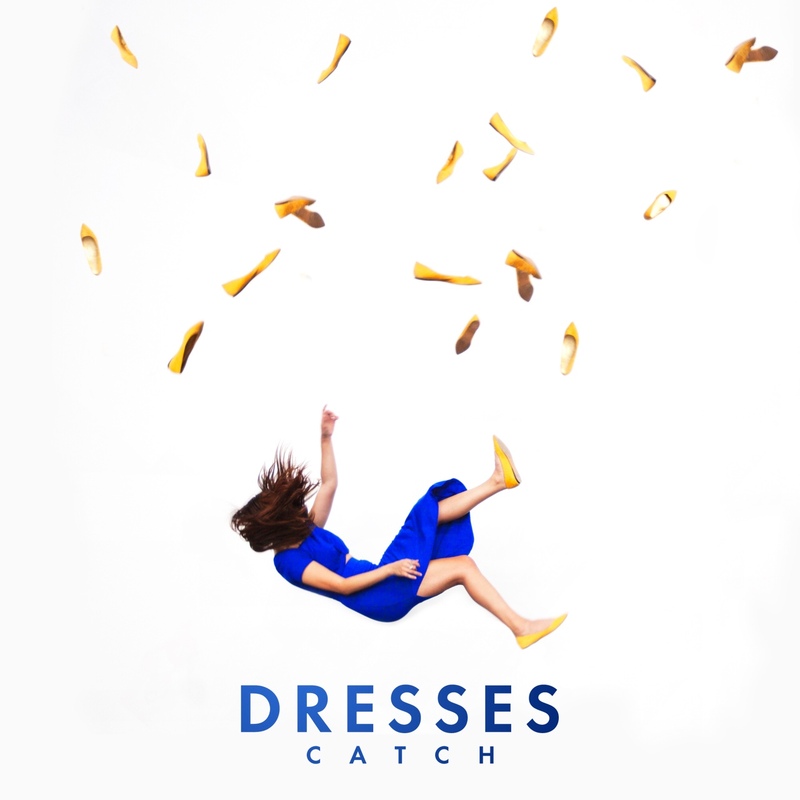 With its universal message and uplifting folksy indie pop, “Catch” is an easy song to fall in love with and a perfect (re)introduction to Dresses as they reinstate themselves in the flourishing indie folk/pop world as Oregon’s cutest and quirkiest musical duo. Simply put, they make songwriting look easy.